Our friendly coaching team is exclusively made up of sport science graduates with a wealth of experience and different specialisation within the fitness industry. Fun, safe and educational physical activity for kids of all ages and athletic background. Laying the foundations for a lifetime of quality movement and performance in sport. At Crossfit Pi you will be more than just a member, you will become part of a friendly and supportive fitness community. At Crossfit Pi we deliver a strength and conditioning programme aimed to better prepare you for all of life’s physical challenges. 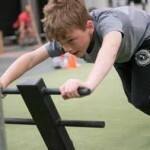 We see ourselves as a new generation of Crossfit gym, for all generations and abilities, providing intelligently coached classes in an excitingly different gym environment. Enjoy training and meeting new friends. Crossfit Pi is a results driven gym where you can find a brilliant support network of experience coaches, health practitioners and like minded members. There is a reason that Crossfit is growing so quickly, it is simple, we are genuinely gyms that care about you. At Crossfit Pi we strive for a friendly, none threatening and educational environment where people’s progress is supported and encouraged every step of the way. Check out the stats below to see how much this friendly fitness community has grown. People entered into the Crossfit games open event in 2015 compared to 70 back in the first Crossfit games event in 2007. 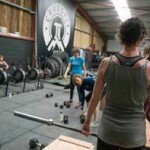 Self described CrossFitters across the globe 60% are female. Crossfit Pi would like to invite you to a special Free trial session where we will begin to tell you what we do and why we do it: we will teach you some body weight basics, give you a trial workout. We’re here to help you and guide you through your journey. Highly experienced and qualified personal trainer and S&c Coach who is seriously passionate about sharing his knowledge and passion for training in a fun environment. A very knowledgable Personal Trainer with over 10 years experience in coaching environments, who loves to inspire, coach and work together with individuals to help them achieve their goals. 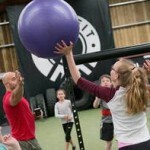 An exciting, young coach with 4 years of personal training experience. 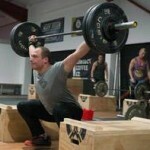 Who loves to empower athletes to unleash their full Crossfit potential. Decreases chances of health complications, injury and disease. Quality of sleep will improve leading to more energy drink in the day. Just a few comments from friends and clients. ``Crossfit pi is a brand new facility providing people of all ages and abilities the tools they need for athletic development. From J30 M5, follow signs to Exmouth, turning right at the Clyst St Mary roundabout on the A376, continue straight over at the Clyst St George roundabout onto the Exmouth Road (A376). Take the Woodbury turn off from the Exmouth Road, sign posted Woodbury and Woodbury Business Park (first left after the Nutwell Lodge Pub). We are half a mile down the road on the right hand side located in Woodbury Business Park. We are located in the back, right corner of the the business park. From Exmouth, take the Woodbury turn off from the Exmouth Road, sign posted Woodbury and Woodbury Business Park. We are half a mile down the road on the right hand side located in Woodbury Business Park. We are located in the back, right corner of the the business park. From Woodbury turn into Gilbrook, at the crossroads near the post office and continue along the road, over the bridge. We are half a mile along this road on the left hand side. We are located in the back, right corner of the the business park. CrossFit is a lifestyle in which you are prioritising your health. The ability to do many different things at a high level of intensity. WANT A BETTER LIFESTYLE, THEN JOIN CROSSFIT PI NOW. 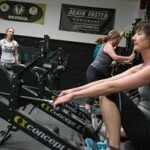 Crossfit Pi will set you up with an introduction and price plan which suits your needs.